OK, let's cure this. 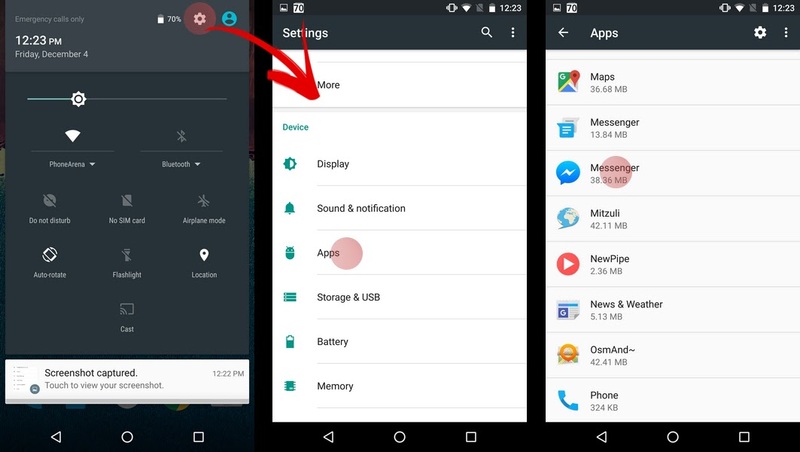 Pull down that notifications shade and hit the settings cog. Scroll down and find the “Apps” or “App settings” / “App management” sub-menu. 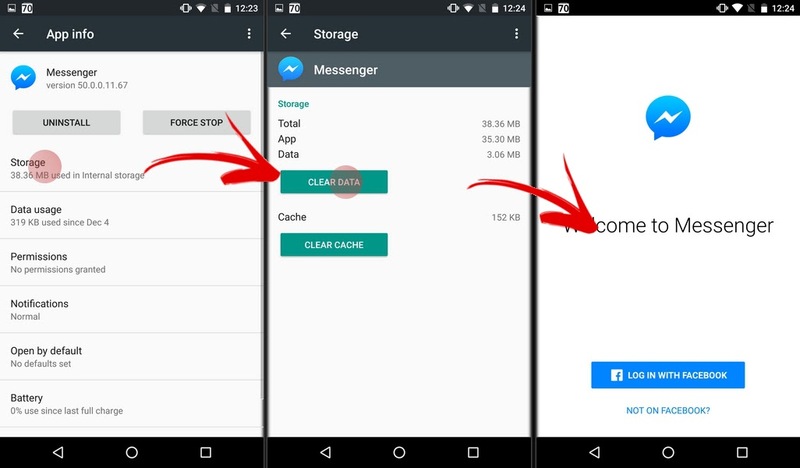 Then, find “Messenger”. 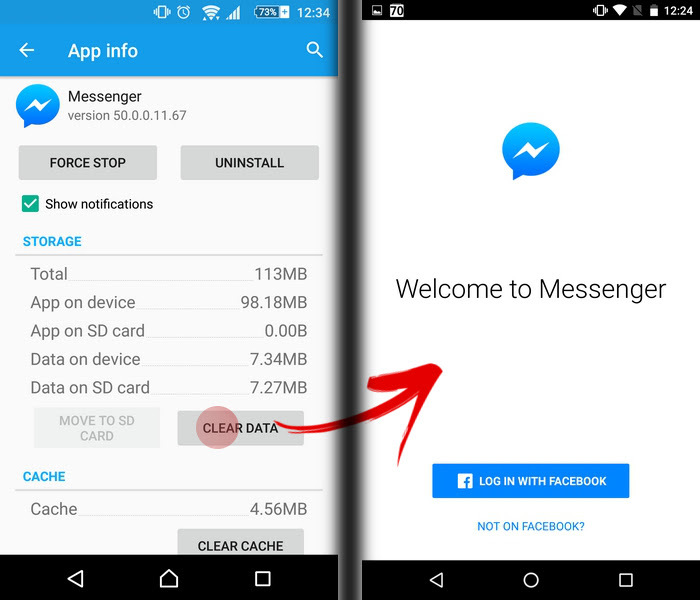 Just tap “Clear data” and your Facebook Messenger will finally forget who you are. 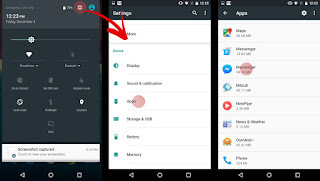 This menu looks a bit different on Google's newest OS, so you may be a bit lost. Fear not, the “Clear data” button is just 1 step away, as shown on the picture in the left here. That's it, you're good!